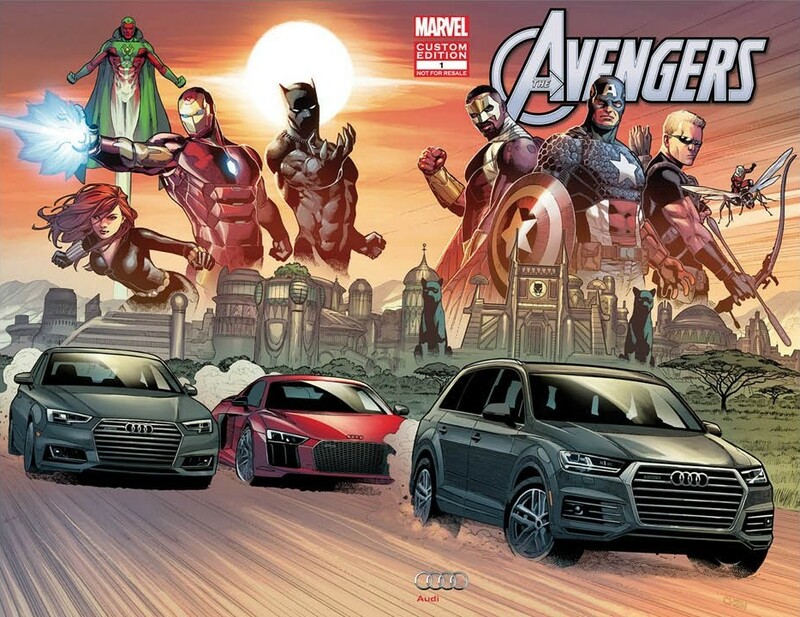 Audi is the car of choice for the Marvel Superheroes. 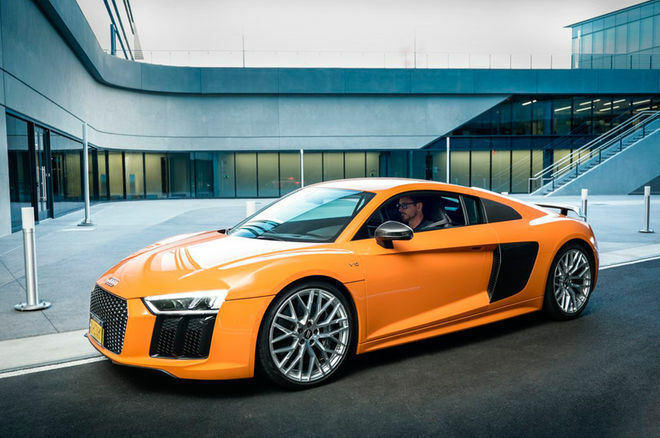 When Tony Stark isn’t flying around in an Iron Man suit, you can find the fictional character doubling as the ultimate face for the Audi brand in several Marvel superhero blockbusters as he drives the streets in the many variations of the R8. This “All New, All Different” relationship between the German automaker and the Merry Marvel Marching Society is nothing new for Hollywood, where product placement is a good way to help fund your $200 million mega blockbuster. Robert Downey Jr. in Iron Man 2 (2011). Courtesy of Marvel Studios. So like how the “Marvel Cinematic Universe” (MCU) was kick-started by none other than 2008’s Iron Man, so began Audi’s relationship with the Marvel division of Disney. 2008 was also a marquee year for Audi. They used the all new tech-laden R8 supercar as a means to help reshape the image of the brand, according to Loren Angelo, Audi of America’s director of marketing. 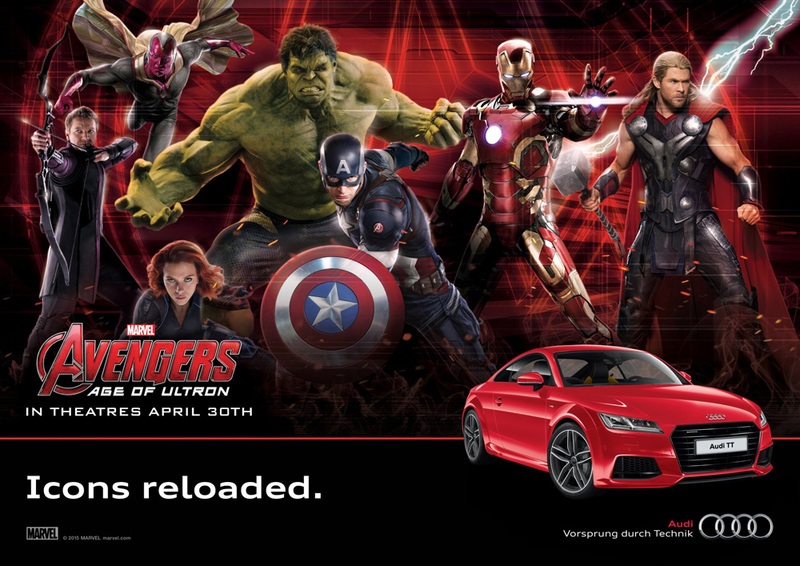 Their team-up with Iron Man was apparently integral to setting the tone for Audi moving forward. So the first-generation R8 was almost like another character in Iron Man, the R8 Spyder replaced that star in Iron Man 2. Most recently, the electrified R8 e-tron sped its way through Iron Man 3 and finally the R8 coupe and TTs managed to show off very real self-driving capabilities in Avengers: Age of Ultron. As befitting Iron Man, the R8 has always had the starring role in these movies but other Audi products have received significant screen time as well. The Audi A3 made multiple appearances in 2015’s Ant-Man, for example. Now with latest Marvel episode, Captain America: Civil War, Iron Man can be spotted driving the 610-hp R8 V10 plus coupe while Captain America is caught up in a freeway chase driving the Audi SQ7 on a road that’s filled with nothing but Audi vehicles such as the A4, A7 Sportback. Disney’s MCU and their ongoing series of movies and shows is not only the biggest blockbuster franchise in the world right now, it’s quickly evolved into an example of the ideal environment for automakers looking to partner up and associate their brands to pop-culture icons and ingrain themselves into big audiences. Audi has been using this super silver-screen presence as one of their primary platforms through which dealers can build upon by even offering early-screening events for customers. At the same time Hyundai has slowly but surely been leveraging their product placement for the Marvel Netflix productions in order to reach those Audi isn’t: those without cable TV subscriptions. Charlie Cox in Daredevil Season 1 (2015). Courtesy of Netflix. So for all of the special powers superheroes all show off, they share a common gift for getting attention, which is something every automaker wants when it counts. While Audi focuses on the theatrical side of Marvel’s stable, Hyundai is focused on the Netflix side of things. 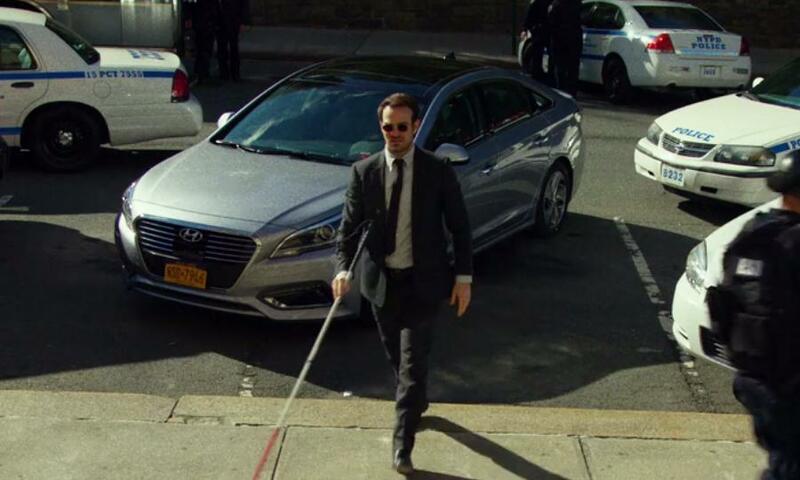 Back in 2015, Hyundai formed a two-year deal with Marvel and Netflix in 2015 that gave it product-placement rights with the following series productions: Daredevil, Jessica Jones, Luke Cage, and Iron Fist. Look forward to seeing Audi’s in 2017’s The Defenders, Which will be Marvel’s Netflix equivalent to their big screen counterpart The Avengers. Chris Evans in Captain America: Civil War (2016). Courtesy of Marvel Studios. 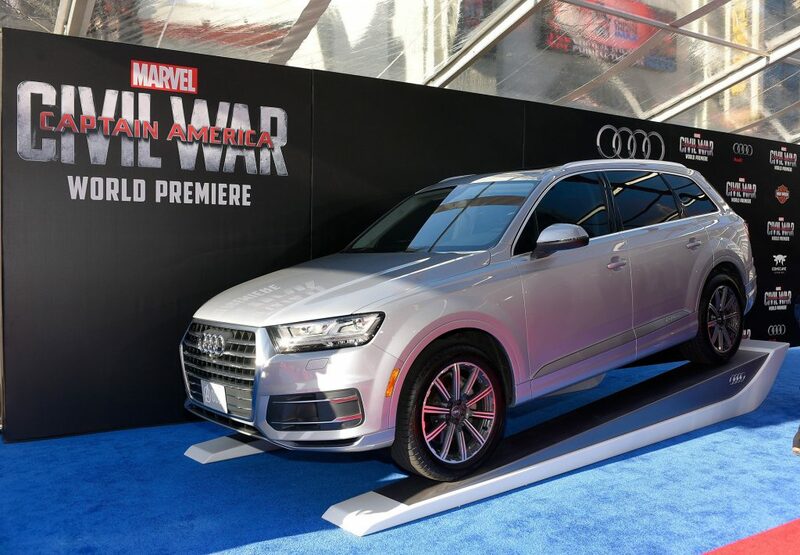 Audi’s integration with the Marvel films has only grown thanks to the perceived success of the brand since then. “To look at it over the many years that we’ve been involved with them, it truly demonstrates how a studio is willing to work with a brand to make sure that we’re doing what can best benefit both of our products,” Angelo said (Automotive News). Like GM’s relationship with the Transformers and GI Joe movies, Aston Martin with James Bond and unlike the multiple brands in the Fast & Furious movies, exclusive marketing partnerships like Audi and GM have not only helped pay for these large movies: they help us to further appreciate the cars themselves. So the next time you’re in the theater watching superpowered being duke it out on the road, see if you can spot the cars used and if it’s only one make. Comment below and tell us what you found!